Bishop William Dillon (right) died of pneumonia on December 15, 1919. He served just one term as bishop, 1893-1897. Most of his career was spent in the pastorate and as editor of The Christian Conservator paper. W. H. Clay described Dillon as having “no sympathy with peace at the expense of principle or uprightness.” He seemed to find, attract, or even pursue controversy. The fact that he would get elected to something, but not re-elected, indicates something or other. Dillon grew up in Ohio with seven siblings. His father, of British descent, died when he was 14, and his Welsh mother died when he was 28. Dillon was converted at age 16 and pursued the ministry. He was assigned to his first circuit in 1861, and was ordained in 1864 (his first three circuit, curiously, were the Russia Circuit, the Troy Circuit, and the Berlin Circuit). In 1866, he married Bessie, the granddaughter of former bishop Joseph Hoffman. They were married 52 years. In 1871, at age 30, Dillon enrolled in the first class of our first seminary, Union Biblical Seminary in Dayton, Ohio. He was part of the first graduating class in 1874. In 1877, he was assigned to the prestigious Summit Street UB church in Dayton, the largest and most influential church in the conference. Dillon became aligned with Milton Wright in opposing efforts to open membership to Freemasons and adopt a new Constitution and Confession of Faith, and became a leader of the “radicals” (the UBs of today). When the radicals launched their alternative church paper, The Christian Conservator, Dillon was the editor. It was published out of his home starting in July 1885. Dillon helped organize a convention in August 1885 which attracted about 80 people to Hartsville College in southern Indiana. The purpose was to rally support against the “liberal” proposals. They elected Dillon as their chairman. Of course, the proposals went through. Dillon joined Milton Wright in leaving the denomination and starting over. Dillon received a few votes for bishop, but four other men were elected. As a consolation prize, he was elected to continue as editor of The Christian Conservator, which was now the denominational publication. 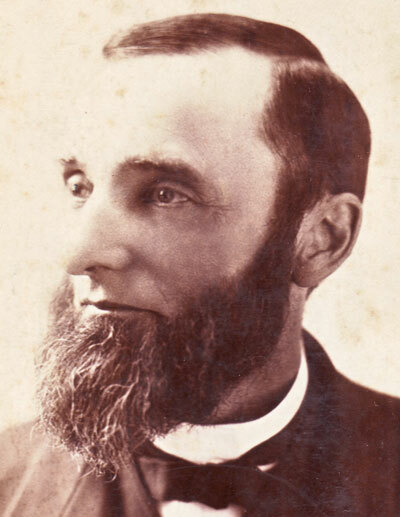 Henry Becker was elected bishop of the Pacific District in 1893, but promptly resigned, and Dillon was elected in his place. But Dillon was defeated for re-election in 1897 by Henry Barkley, and by a significant vote, 37-10. General Conference then elected Dillon, again, as editor of The Christian Conservator. But after four years, he lost re-election as editor. Dillon returned to the pastorate, while also becoming a major supporter of Milton Wright in a nasty controversy involving the publishing house. He once again organized a convention, this one in support of Wright, whose side prevailed at the 1905 General Conference. Wright then faded into retirement. In 1911, Dillon was elected to a third stint as editor of the Christian Conservator…on the 40th ballot. He continued in that role until 1917. Then he and Bessie retired to their daughter’s home in Springfield, Ohio. He died there in 1919 at age 78, and Bessie lived another 16 years, until 1935.